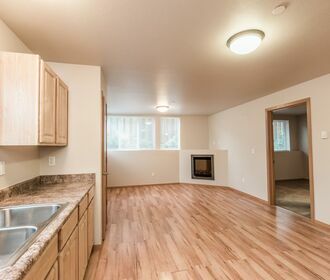 Designed with location and accessibility in mind, Centerwood Apartments is conveniently located in White Center, WA. Keeping you easily connected to popular bordering neighborhoods and sandwiching you between West Seattle and Burien Centerwood Apartments is close to hot spots including The Junction, Lincoln Park, The Point and Elliot Bay Brewhouse & Pub. 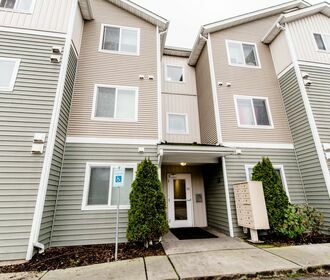 Centerwood Apartments is a commuters dream situated only a few short minutes from major highways quickly linking you to Downtown Seattle, SeaTac, Tukwila and more. Centerwood Apartments offers beautiful 1 and 2-bedroom homes adorned with modern matching appliances, beautiful wood cabinets, wood burning fireplaces and hardwood floors. 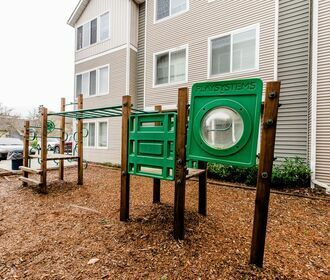 Community amenities include secured building access ensuring privacy and protection to tenants as well as an outdoor playground and play area for children. These homes are also pet friendly please; refer to our pet policy to ensure your furry companion meeting our guidelines! Call to schedule a tour of your new home today, or apply online with our online leasing feature! Come browse our portfolio and nearby sister properties at www.targarealestate.com!